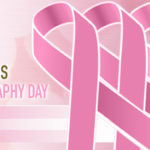 Thursday, June 23rd is National Pink Day. Wear a little… Wear a lot… Everybody wear PINK! Next week; June 13-19, is National Men’s Health Week. Women: Look after the men and boys in your lives. Oncology San Antonio likes to look out for the welfare of all of our patients and we want you to be safe and healthy. Good health habits now lead to good lives later. The Centers For Disease Control have some good ideas for keeping yourself and the lives of others healthy. Like the good folks at the CDC recommend: get lots of sleep, kick tobacco, be physically active, eat healthy food, don’t stress, and get regular checkups to make sure everything is doing fine. In June, everyone across the world recognizes and celebrates all of the survivors and their families together. Those who have had these life-changing events and overcome them with their determination, strength and heart are survivors and inspirations to everyone. This month honors those who have persevered through adversity and are embracing their lives after cancer. With ever-advancing procedures and ever-increasing knowledge, the rates of cancer survivorship keep growing. One day, everyone fighting this disease will be a survivor. Oncology San Antonio will be at Texas Public Radio’s 6th Annual Silver Solutions 2016 Senior Resource Fair. Join us Thursday, May 19 from 9 am to 2pm at the TriPoint Event Center located at 3233 N. St. Mary’s. It is a free event for all San Antonio seniors. Many senior-focused exhibitors will be there to provide you with resources for your long life. 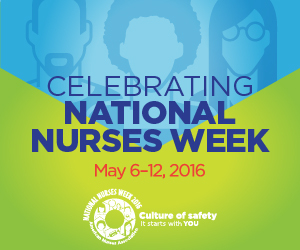 National Nurses Week is coming up! It begins with National Nurses Day on Friday, May 6th and runs though May 12th. Oncology San Antonio is grateful for all of our fantastic nurses and are very thankful for all of the great work they do for all of our patients. You are the best! On Friday, April 22 and Saturday, April 23, Circle For Life will be raising awareness for organ, eye and tissue donation. This is a 64 miles motorcycle ride through the hill country surrounding Boerne. Oncology San Antonio is proud to be a sponsor of this great cause. Friday is the Circle of Life Garage Party at Leon Springs Dance Hall starting at 7 pm featuring Two Tons of Steel performing at 9 pm. Saturday, The Circle For Life Fiesta Motorcycle Rally starts at Javelina Harley-Davidson. Registration begins at 8:30 am and begins at 10 am. Visit http://www.thecircleforlife.com/ for more details. The Third Annual Shavano Community Health, Home & Family Fair will be on Saturday, April 2 at the Bexar County Medical Society’s new headquarters located at 4334 North Loop 1604 West. This is a free event, from 9 am to 1:30 pm. It will feature health exams, free screenings, home improvement ideas, safety information, healthy foods, nutrition and exercise tips. There will be tons of activities, a moon bounce, a mobile petting zoo, face painting and fun for kids of all ages. February 4th is here. World Cancer Day is the here. Everyone here at Oncology San Antonio joins the world as it unites in the fight against cancer. Together, we can all come together to end cancer. Talking about cancer raises awareness of the disease, encourages discussion, promotes education and moves us closer to a cure.